Often sports centers can be simple and dark spaces that provide required functions, but don’t inspire or motivate people to spend time there. 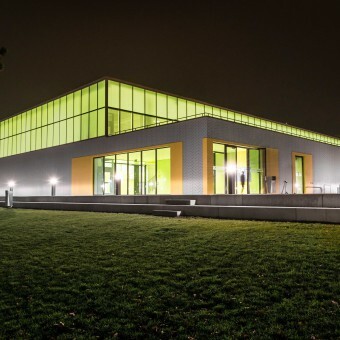 By designing a bright sports hall flooded with daylight, the architects wanted to encourage people to spend more time doing sports and truly enjoy being there. Also children have different needs from adults, therefore using color was very important. Not only is it easier for them to navigate with color, but it’s also more playful. 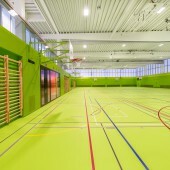 Neumatt is not one of the many standard sports centers in Switzerland. Inside, it is a true color burst of green, yellow, red, orange and blue. These rainbow-like colors not only help children to navigate around, but it’s also more playful and taps into the way children see the world. 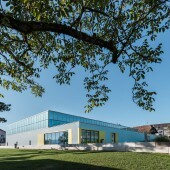 Outside, the translucent glass façade reflects the color of the sky and the rendered base is complemented with a special sport icon pattern that gives the building its unique identity. Neumatt is used as a sports center by the local municipality, schools and sport clubs. 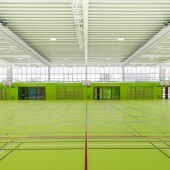 The main sports hall can be easily transformed to 3-pitch hall. Inside, color is used both decoratively and as a navigation device. Changing rooms are colored rather than numbered and each shower room is a simple concrete and wood design that is enlivened by bright shades. The glazed upper level delivers perfect natural light by using a capillary glass that minimizes glare and also maximizes thermal insulation. There is no air-conditioning, instead an ecological geothermal heat pump, which heats the building in winter and cools it in summer. 3-pitch sports hall. Building plot size is 4’100 m2. Floor area is 2’300 m2. Building volume is 16’700 m3. 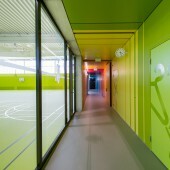 At lot of time was invested in exploring the ecological potential of the sports hall. Aiming to reduce artificial lighting, a special capillary glass was used that maximizes natural light deep in the space and minimizes glare. By analyzing the natural airflow access across the building, natural night cooling was installed through openings in the façade and the roof to avoid installing air-conditioning. For heating and free cooling in summer a geothermal heat pump was used. As the building was built by raising taxes of the local community, cost-efficiency was a very crucial aspect. The use of bright color concept inside helped to enliven the building, which is very simple in both materials and construction. To reduce the impact outside, the building accommodates the slight slope by being higher at one end than the other. The facade consist of the upper glazed level that changes color depending on viewpoint and the time of day and the vivid lower patterned base. Neumatt Sports Center Sports Center by Evolution Design is a Nominee in Architecture, Building and Structure Design Category. · Click here to register today inorder to be able to view the profile and other works by Evolution Design when results are announced. Neumatt Sports Center Sports Center by Evolution Design is Winner in Architecture, Building and Structure Design Category, 2015 - 2016. 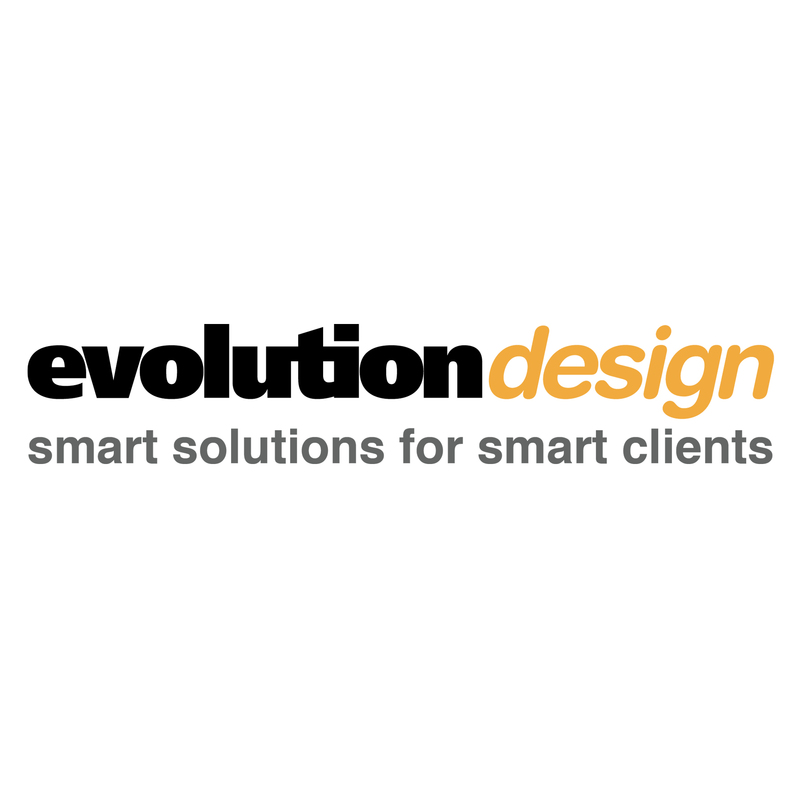 · Press Members: Login or Register to request an exclusive interview with Evolution Design. · Click here to register inorder to view the profile and other works by Evolution Design. Did you like Evolution Design's Architecture Design? Did you like Neumatt Sports Center Sports Center? Help us create a global awareness for good architecture design worldwide. Show your support for Evolution Design, the creator of great architecture design by gifting them a nomination ticket so that we could promote more of their great architecture designs.